NATO and its member states are preparing for the next summit, which will take place in July in Brussels. Numerous diplomats and military personnel within NATO structures and the member-states are working long hours on the content and choreography of the summit. The strained transatlantic relations, however, threaten the entire exercise. US-European relations have taken a turn for the worse, most recent example is from the G-7 summit in Canada last week. Relations across the Atlantic have been tense for more than a year. Last year, in May, the newly elected president of the United States Donald Trump refused to endorse Article 5 of the Washington Treaty in Brussels. According to Trump, many European states are not spending enough on defence and thus will not be eligible for the security guarantees that are the bedrock of NATO. It is worth remembering that during the last 20 years, many European states have dismantled their military capability to deter and fight traditional wars. For most European militaries, ever since the 1990s, it has been all about military crisis management, counter-terrorism and counter-insurgency operations. When Russia invaded the Crimean peninsula and started a military crisis in Eastern Ukraine, many Europeans were surprised: suddenly very traditional notions of military invasion and the use of military force were back. Many European states lacked then – and lack still today – the needed military capabilities to deal with this “new” (read: old) logic of the international security game. Ever since 2014 NATO as an organization and the member-states of the Alliance have struggled to bring back the defence of territory outlook and military capabilities to deter great-power adversaries. After two decades of “small defence” or “cheap defence”, much of the European continent lacks credible military forces that are suitable – or usable – in a world of great power competition and conflict. Now that NATO is preparing the next summit meeting, the cohesion of the Alliance is waning. Most European states and the US have different – even opposing – perspectives on many important issues of international politics and international security. Steel and aluminum tariffs and a potential trade war across the Atlantic, US embassy in Jerusalem and the Iran nuclear deal (JCPOA) are all significant topics where the transatlantic community is divided. In addition, the low level of European military spending is a thorny issue, which has become a symbol of the transatlantic politico-military gap. All member-states of NATO promised – by accepting the 2014 Wales summit final communique – to increase their defence spending to 2% of GDP by 2024. In addition, they all promised to spend at least 20% of their defence spending on material investments. Ever since, during the last 4 years, it has become clear that many member-states are not committed to increase their defence spending to the level that was declared in Wales. And the Unites States has threatened to stop the “military welfare” for the rich Europeans. Now that the NATO Brussels summit is approaching, the representatives of all member-states drafting the summit final communique should focus. The tradition where member-state are competing and trying to get their national priorities included in the summit final communique should be discarded. The 2014 Wales final communique contained 113 articles. The 2016 Warsaw final communique contained as many as 139 articles. Most of these articles are politically correct declarations with no real-life security implications. 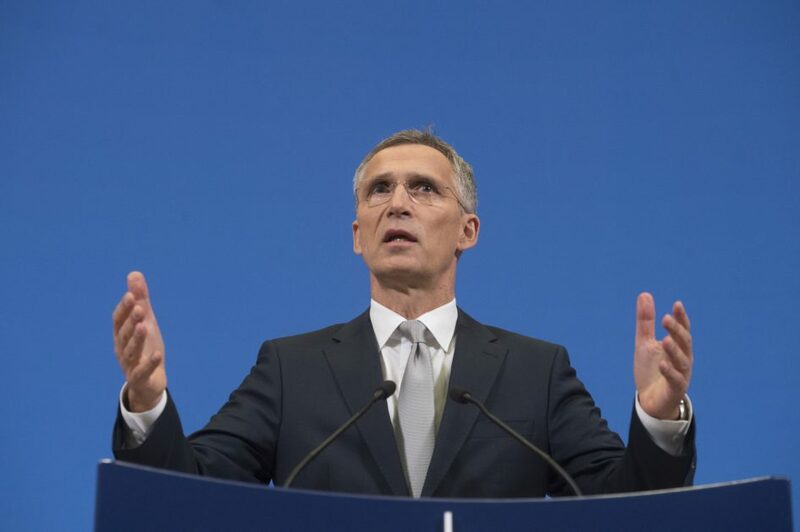 Worse still, the lengths of the recent final communiques actually lower NATO’s military credibility. In the field of defence talk is cheap. And unrealized promises are even cheaper. For the credibility of the military alliance, the 2018 Brussels final communique should contain only two articles. The first should restate the commitment by the European member-states to rebuilding their military capabilities for deterrence and defence. This will take 10-20 years. The second article should reaffirm that every member-state of the Alliance will meet the 2%/20% spending goals by 2024. It will be difficult to get everyone within NATO to accept these articles. It will be even harder to get every member-state to implement them. But there is no alternative – Europe without real military capabilities for the foreseeable future would be risky. Europe cannot outsource its military security to the United States for ever. Jyri Raitasalo is Military Professor of War Studies at the Finnish National Defence University. The views expressed here are his own.